At Continuum Services, we understand that each industry has its own unique challenges and requirements. That’s why we focus on clear communication channels and strategies to help us provide all of our customers with the custom, quality service they need. 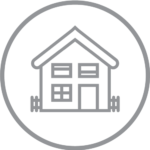 With a focus on occupant comfort, tenant retention, and operational efficiency, we help maximize our clients’ return on investments. 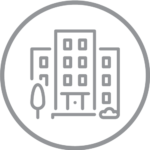 From corporate headquarters and office buildings, to retail centers and senior living facilities, we offer full-service facility solutions that meet the unique needs of our diverse group of clients. From boardrooms and atrium’s to parking lots and more, we keep your property looking great and your facility running smoothly. Our team can accommodate the full spectrum of commercial office needs, including small office buildings, corporate campuses, office parks, and other high-traffic facilities. Regardless of your facility’s active hours, we have the flexibility and resources to serve you without interrupting production or inconveniencing your staff. 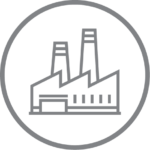 Industrial facilities like manufacturing plants, distributions centers, and warehouses benefit from our facility management expertise and emergency services. 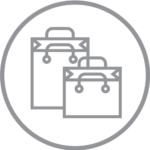 At Continuum, we work with big box, national, regional and local retailers as well as casinos, hotels and other entertainment venues . These spaces are high-traffic areas that require a certain level of expertise that we excel at. Our staff is always available to meet the demands of the retail and entertainment industry and keep you up and running when you need it, including nights, weekends, and holidays. Universities, K-12 schools, Colleges & Trade schools, and other educational facilities have their own unique needs and expectations. At Continuum, we work hard to meet the demands of this industry and keep these educational centers up and running. Providing residents with a rewarding way of life means facing challenges every day. We support our clients’ mission of improving the quality of life for residents by leveraging our resources with the expertise of your community’s staff. 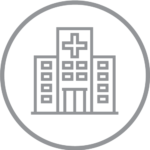 Current health care clients include hospitals, emergency centers, medical offices and research facilities throughout the region. At Continuum, we utilize a state-of-the-art interactive information technology platform to ensure compliance, real-time reporting, and operational control. We are fully trained and equipped to address the unique needs of the healthcare and life science community.